DSA Select Baseball is pleased to announce open registration to try out for Fall 2017 play. DSA Select hopes to field teams at the 9u through 14u levels. Players interested in trying out must register in advance using this link: https://www.youthleaguesusa.com/dsa/17-18/WelcomeTryout.html. Completing the online registration through the YLUSA system speeds check in, ensures that parents have signed the proper releases, and creates a player record that will be used throughout the season As happens from time to time, we may need to change venues, times, or dates due to weather or field conditions. Players registered in the system will be notified directly of any change. Individual team tryouts will be scheduled based on registration numbers and staff and field availability. There is no fee to register for a tryout. If you have questions, please contact me at natsfan1@verizon.net. 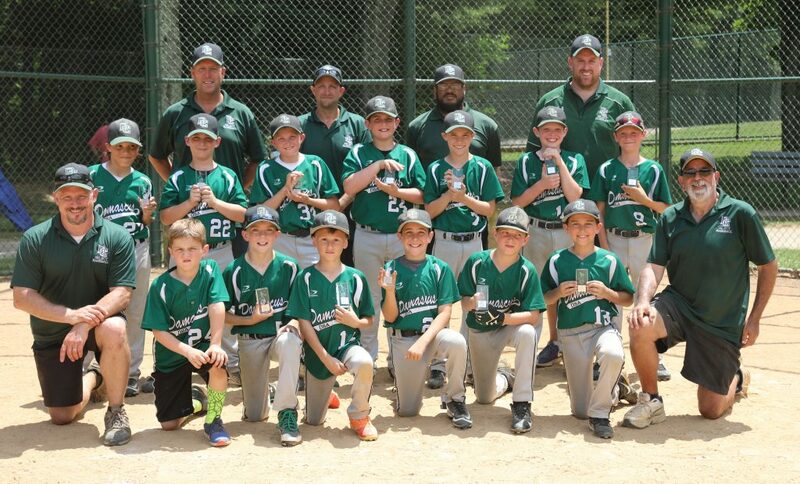 The 2017 version of the 10u Damascus Cougars (coached by Dave Lokos) posted three big wins, including two over the Olney Buccaneers, in the post-season, but came up just short in the MCBA Championship game, losing to the Olney Pirates 11-5. Damascus 11u Select Team Crowned 2016 Champions MABA Piedmont Division! 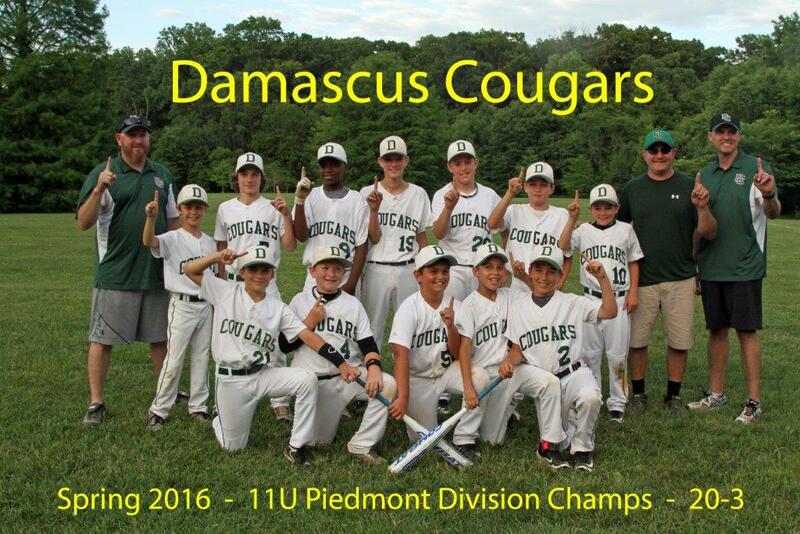 The 2016 version of the 11u Damascus Cougars (coached by Dave Rizzo) won the Piedmont Division of MABA with a 20-3 record. Coach Rizzo hopes championship will provide a great springboard for the Spring 2017 season, which will include play in a national tournament at Cooperstown, NY. Front Row w/ Bats: Nick Mezick, Caleb Brewer, Dustin Hottel, Ryan Cooper, Ryan Perry. Damascus 14u Select Team Wins 2016 Mutiny in the Park! 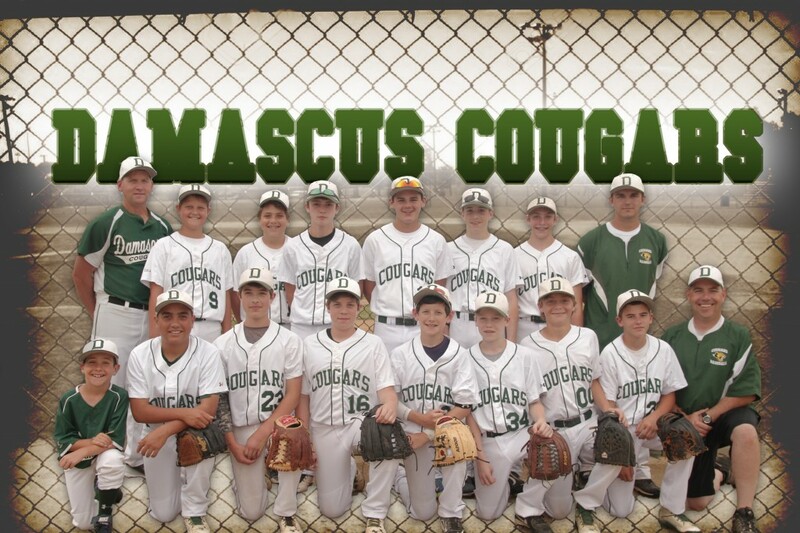 The 2016 version of the 14u Damascus Cougars (coached by Brett Daly) won the Open Division of Mutiny at the Park regional baseball tournament Sunday, by beating the #2 seed, Olney Bucs, 6-4. 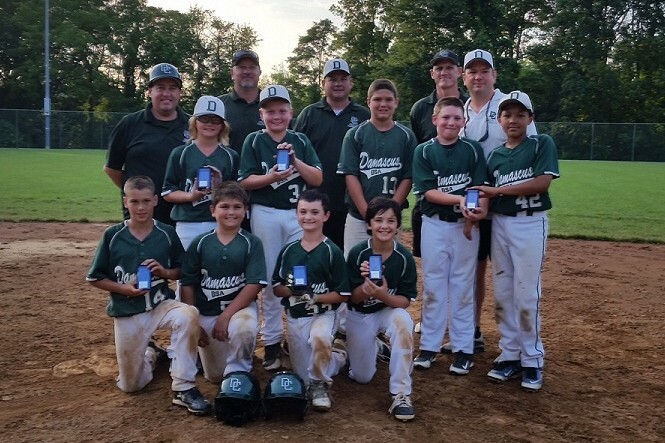 The 2016 version of the 13u Damascus Cougars (coached by Kevin Hernandez) were Runners Up in the Open Division of Mutiny at the Park regional baseball tournament, losing to the Sykesville Cyclones 10-5. Great effort guys! Damascus repeats as 14u Montgomery County Champions! 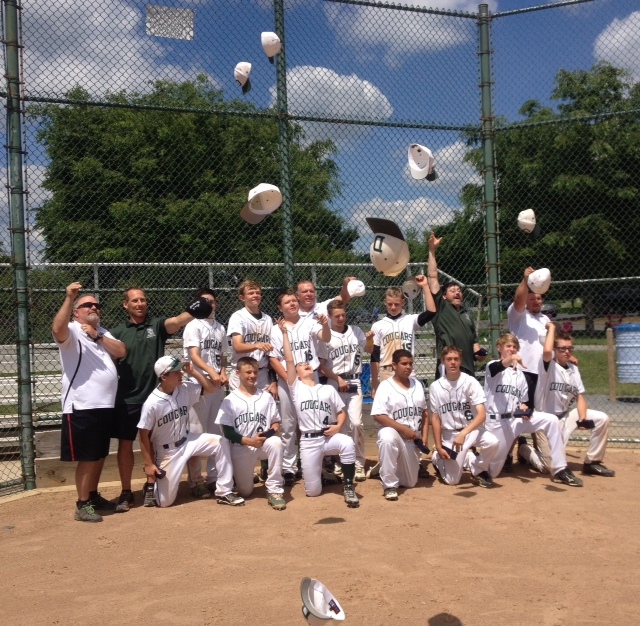 The 14u Cougars celebrate a walk-off win in the MCBA Championship game. 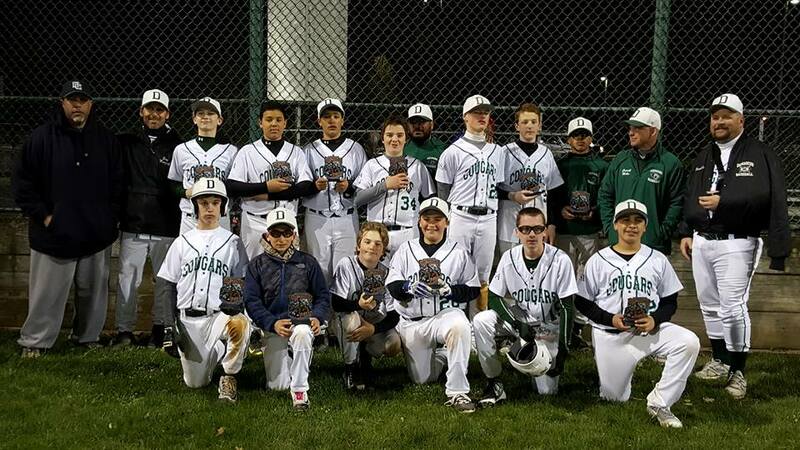 Damascus Select Baseball won the 2015 14u MCBA championship, 7-6 over the Rockville Rockets, giving Damascus back-to-back 14u titles. This year’s champions (above) were coached by John Papuchis and won the post-season tournament in grand style, overcoming an early tournament loss by winning three straight games, including key wins over the #1 seeded Sandy Spring Falcons, and consecutive wins over #5 seeded Rockville Rockets. The 2014 14u champions (below), coached by Dave Retherford, included ten 8th graders who went on to start for their High School teams (5 Varsity, 5 JV) this last spring. The 2014 edition edition of the 14u Cougars celebrating their win in the Championship game of last years MCBA post-season tournament. 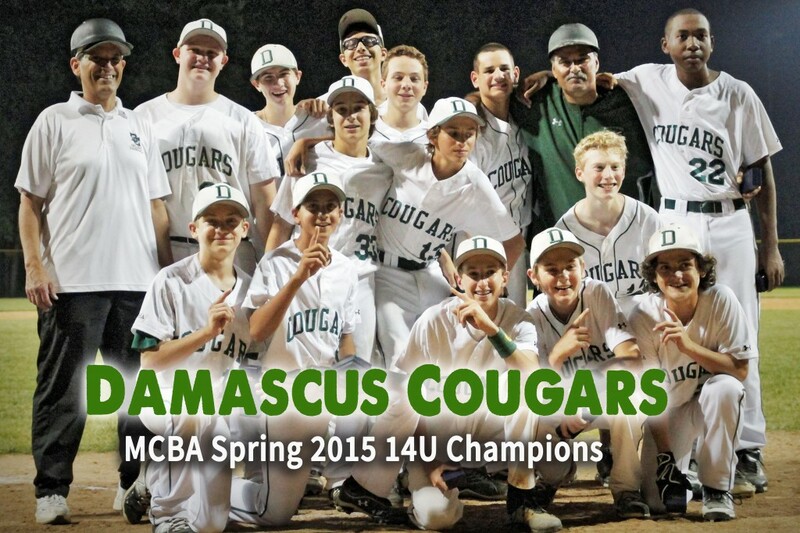 The 13u Cougars, coached by Brett Daly, ran out of steam, losing the championship game of the 2015 spring post-season 13-1 to the Burtonsville Storm. The Cougars have plenty to be proud of though, winning four consecutive play-off games as the #5 seed to reach the championship game, including a signature win over the #1 seed, Olney Bucs, 9-4. 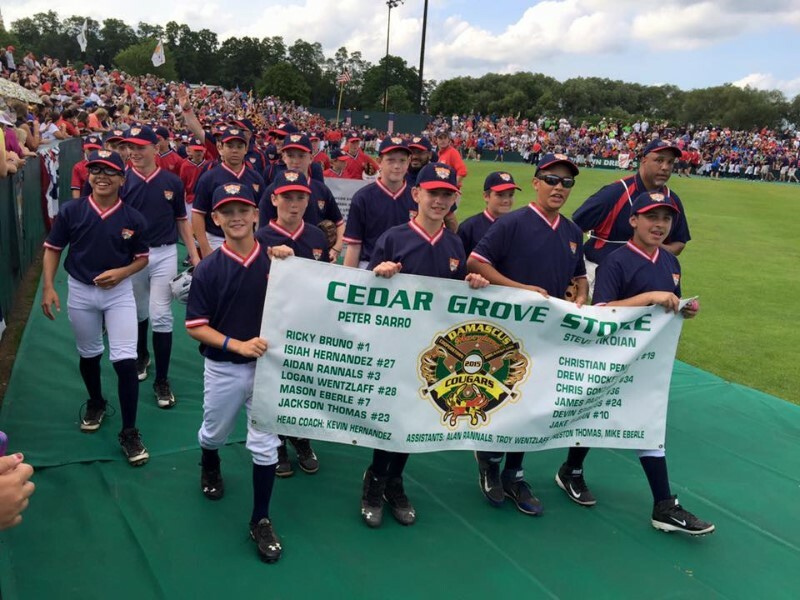 The 12u Cougars, coached by Kevin Hernandez, say goodbye to the small field in style, by competing at Cooperstown Dream Park. The 2015 Spring edition of the 11u Cougars: Standing: Coaches Joe Hess, Ashton Garrett, Jake Yoder, Brett Tobiassen, and Jim Shank. Standing in the middle: Steven Tameris, Jacob Garrett, Brett Tobiassen, Connor Shank, and Ray St. Denis. 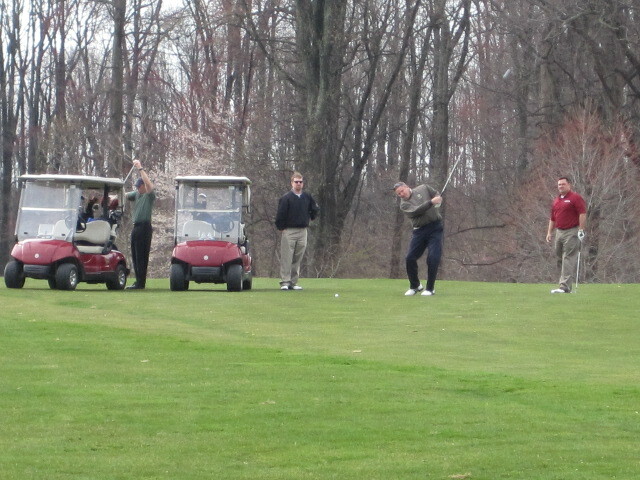 On One Knee: Michael Hess, Dustin Hottel, Nick Hassan, and Ryan Yoder. Absent: Nate Sylvester. The 11u Cougars, coached by Joe Hess, lost to the 12u Olney All-Stars in the championship game of their final tournament. 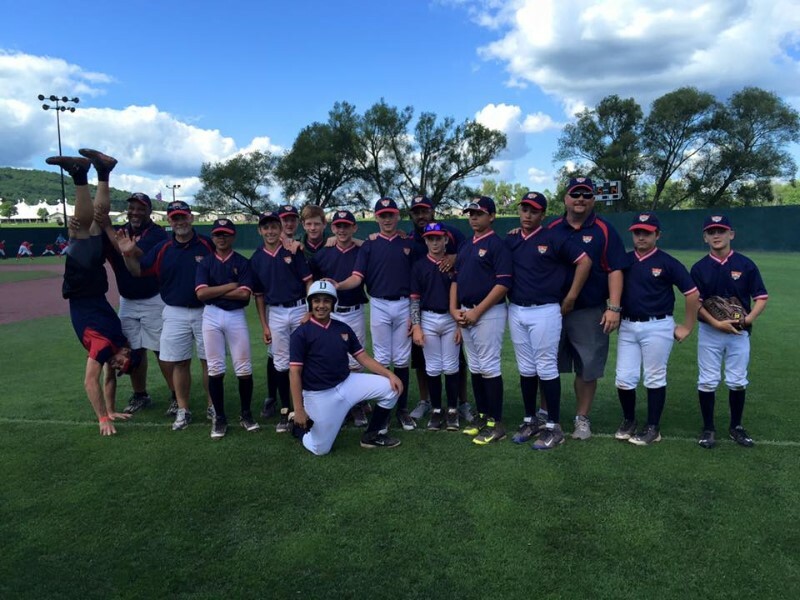 The 11u Cougars beat three consecutive 12u teams to advance to the championship game and hope to carry that momentum in the 12u season that will see them participate in a national tournament at Cooperstown Dream Park in July of 2016. Please support these local businesses that support our program! 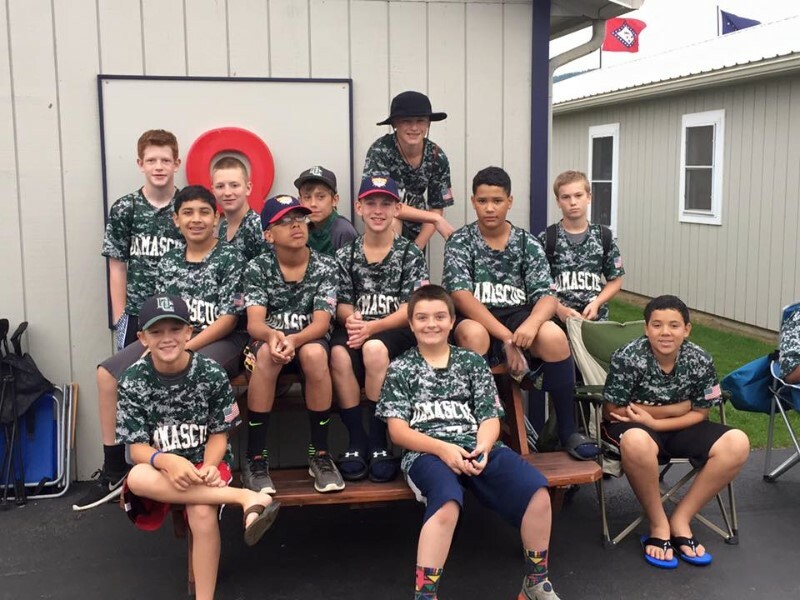 Support Select Baseball – Sponsor a Team this Spring!